Yellow taxis waiting for custom near Moscow’s Leningradsky Railway Station. In two to three years Moscow will resemble New York — not for its skyscrapers but for the yellow cabs that will dominate its streets, erasing the colorful Persian market atmosphere of the capital's free-for-all taxi market. Pink cars for ladies, black Mercedes-Benz for visiting executives, beat-up Ladas for Muscovites thumbing lifts — taxis of all colors of the rainbow are available for hire in Moscow, one of the most populous cities in the world. Diversity is also present in the service. A legal-looking yellow cab offers no guarantee that the driver behind the wheel knows his way around or will not fall asleep at the wheel. Drivers of battered cars still offer rides across the town for half the price of a legal taxi, albeit with questionable safety. This has been the hallmark of Moscow's taxi ranks since the topsy-turvy 1990s, but their days are numbered — tightened regulation and changing consumer attitudes are pushing illegal and low-quality taxis and their drivers off the streets and out of business. Although a lot has been said about making Moscow's taxi market more civilized and better organized, the unregulated taxi market is very much alive and kicking. In an attempt to bring the taxi business out of the shadows, City Hall in 2012 began issuing taxi licenses and introduced fines for picking up passengers without them. An unlicensed cab driver, if caught, is now subjected to a fine of 5,000 rubles ($140) for the first violation and has his car impounded for the second. Over 40,000 licenses have been given out for free to companies ready to provide legitimate taxi services. From this year, besides other requirements to qualify for license, such as running a meter, having the right documents, keeping the car serviced and the drivers subjected to medical checks on a regular basis, a taxi company has to paint its cars yellow. This means that when earlier licenses expire, which will happen in less than five years, all legal cabs in Moscow will look the same. City Hall's Transportation Department has already trumpeted the successes of the harsher rules. 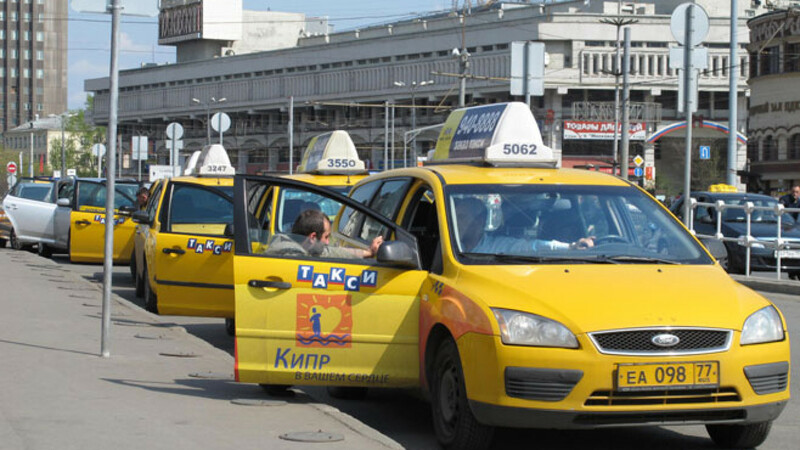 Maksim Liksutov, the head of the department, said earlier this year that the measures have helped reduce the number of illegitimate taxis by three times. But taxi company executives say that if people are now more inclined to call an official taxi than flag a gypsy "bombila," the change has more to do with a switch in consumer behavior than stricter regulation. More and more Muscovites want guaranteed quality, comfort and safety. There are no official statistics, but Moscow's taxi business is worth an estimated $2 billion annually. According to owners of licensed taxi companies, only the tip of that iceberg — 10 to 20 percent — is legal. There are about 50 large — employing over a dozen cars — companies providing legal taxi services in Moscow, according to Vasily Baranov, founder and head of taxi company Komandir. These compete with thousands of individuals, who roam the streets on an illegal or semi-legal basis. "The number of gypsy cabs over the years has not decreased, but more and more illegal taxis are either becoming legal or their drivers are coming to work for official taxi companies," Baranov said. Komandir, which means "commander" or "boss" in Russian, owns 200 premium-class cars, painted black. The company charges extra for comfort and quality. "People are choosing legal taxis because they want quality, reliability and comfort," Baranov said, adding that this new mindset will eventually push illegal cabbies out of the business more effectively than regulations. Komandir was one of the first taxi operators to get licenses for its cars two years ago. It still has about three years before the licenses expire, and in order to be granted new ones the cars will have to be painted yellow. But Baranov is not upset, even though he will have to pick up the tab for the paint job. "Some of our cars will become yellow, but some will be used to provide the car-with-a driver or limousine services that exist in New York," he said. In any case, to have all cabs in the city of one kind would only be of benefit for the clients, he said: "A customer knows that when a yellow car with checkers pulls up he is in a taxi cab and he will be safe and on time." But in that Baranov may be overoptimistic — even the most legitimate-looking yellow cab could be driven by a dubious individual who has got the car on lease. At first glance, The Moscow Times' attempt to flag down a legitimate yellow taxi on a busy afternoon in Moscow was successful. After a few minutes standing on the curb a yellow cab pulled up, bearing checkers and all the features of an official taxi. But it did not take long to realize this was not the case. The car had a license but no meter. The driver, Zamir, could not provide a receipt, which is obligatory for a legal cab, and did not have either his or his company's details on display, also a requirement. Instead, he was leasing the car from a company at 2,000 rubles ($57) a day. On a typical day, he makes about 2,000 rubles on top of that, he said, adding that to make ends meet he has to do a lot of driving. Zamir does not need a support structure — his call center is Yandex.Taxi, a service that mirrors the Uber taxi booking service widely used in the U.S. A taxi can be booked online, with the application choosing the car closest to the customer. While being convenient as a fast and easy way to find a ride, the service does not give any guarantees that the driver will not be an unregulated individual like Zamir, who is his own authority on how long he spends behind the wheel and how often his car is serviced. "Illegal drivers, or those who rent cars, though they might look like official cabs, are not subjected to checks and regulations," said Irina Koshelkova, the head of taxi company Nastroeniye. "We choose our drivers carefully, train them, have them pass medical examinations. Cars are checked as they leave the garage on a daily basis," she said, adding that the company is inspected regularly by government officials to make sure it goes through all the procedures. Because illegal or semi-legal taxis avoid inspections, she said, it is much harder to revoke their licenses, if they have them. "A way out would be to grant licenses to individuals rather than cars, as they do in the U.S. This would put personal responsibility for providing standardized service on the driver, making him value his license and fear its loss," Koshelkova said. Still, she said that government efforts to organize the market are a positive trend that will eventually lead to a more civilized business. But changes underway in the unregulated taxi market may have more to do with consumer preferences than the heavy hand of City Hall. As with the yellow cab, The Moscow Times had no trouble finding a gypsy car in the city center. A stereotypical gypsy cab in Moscow is a battered and rattling Lada with a man hailing from the North Caucasus region behind the wheel. But five minutes after putting up a hand to flag down anyone willing to pick up a passenger off the street, a spotless new business-class Chevrolet pulled up to the curb. The car turned out to be driven by Igor, a "professional" gypsy cabbie, who leapt on the opportunity to tell about his business. He dismissed drivers hired by taxi companies as "former janitors or construction workers" whose cars "smell of dirty socks" and stressed that he did not mind spending extra cash on keeping his car spotless. "Those cab drivers throw remains of their lunches onto the back seats. I am different, and keep my car clean and tidy because customers require comfort and quality," Igor said, firing the same criticisms at his legal counterparts that they would heap on him. He also said that he gets enough sleep, takes a rest in the middle of the day and has his car serviced on a regular basis, also something a legal company is required to do. "I do not lease the car, I own it and so I keep it — and myself — in good shape to continue running the business," Igor said. He said he was making on average 4,000 rubles ($114) a day, excluding the money spent on petrol and car servicing, an amount that earns him a decent living. Igor was not worried about any measures to clamp down on illegitimate taxi drivers — it is hard to prove that a driver is giving someone a ride in return for money unless the moment when cash changes hands is captured on video, he said. But he did admit that the mindset of people hiring a taxi ride has been changing over the last years. "People have become picky. They do not want to ride in a dirty beat-up car, do not want the driver to ask them for directions on how to get to their destination as was the case before. They want quality service for their money, and if you cannot provide that, you are out of business," Igor concluded.